Though Peterson has spun up a new vision for its St. Patrick's Day pipe each year since 1998, almost unbelievably they've never done one as a System pipe. That is until this year, and in green no less. 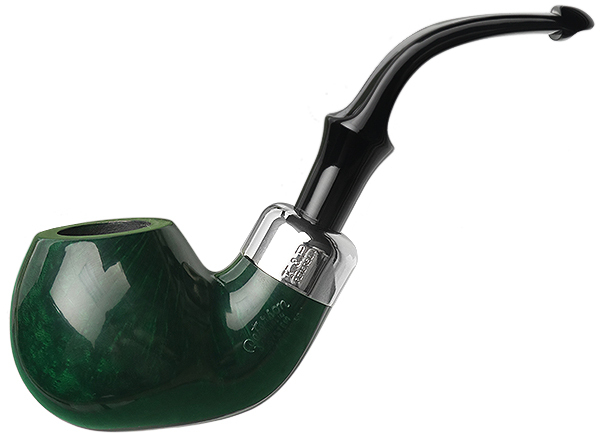 It's particularly fetching here rendered in Peterson's "302" shape, a classically Irish looking, plump bent Apple, and one of nine shapes in this year's offering, this one featuring a P-Lip mouthpiece.